Trading services allow you to expand your clientele. It also gives you the chance to make new friends among other business owners. Here, in Avontage, we will help you meet like-minded members of your community. Also, the best part is you can meet people from various fields like advertising, health, beauty, and more. You can also connect and collaborate with influencers on your business niche. By providing what the other members need, you get the chance to build trust. Multiple transactions will develop familiarization, thus friendship. Sometimes, it will stretch outside the platform where business owners meet personally and discuss potential partnerships. Business owners also get to connect to each other on various sites like Facebook if they wish so. When small business owners transact, they perform direct conversations. They get to share their insights as the trade goes. This direct conversation paves the way for businesses to get to know each other. The good thing about trading is that business owners are free to share their opinions. Members who find common denominators click right away. In Avontage, you simply don’t join. You also get to impart your knowledge and expertise to other members. While your business grows, the business you transact with gets to pick new ideas. Avontage is a big community that’s willing to teach, share, and enrich. Even if you can’t find what you’re looking for, you can post a request. It doesn’t go unnoticed! Business networking is a booming industry and you’ll build your business while meeting new acquaintances. The bartering marketplace is ever-rich of services waiting to be discovered. You have the power right at your fingertips to start a connection and build businesses. With this, you get to meet more people from various niche and areas across AZ. Most of these members are willing to chat and connect, much so if you offer great services. One thing that makes people shy away from a possible transaction is the price of service. There’s a sense of tension whenever cash is involved. And since the transaction will happen online, business owners would be more skeptic than ever. 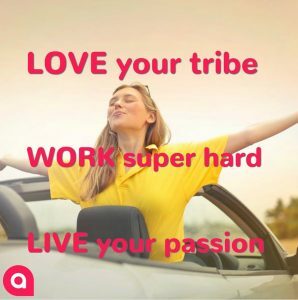 This is why Avontage community platform was created. It allows businesses to trade services in place of cash. With its low-risk nature, more and more business owners in AZ are attracted to join the community. When you barter with a specific business, you’re not the only one who enjoys the benefit. They also earn from the transaction which allows them to grow their business. It’s definitely a win-win situation for both businesses. This mutual relationship fosters partnership and friendship in the long run. So you get to be educated and meet new pals at the same time. When days get hard for your business, the members you barter with can help you get through the blow. They can open an income faucet through service business trading. Other members can also provide tips and references on how you can weather the losses and transform it to gains. As much as service bartering is beneficial for your business, you should still practice caution. Avontage is a safe haven for businesses in AZ, but we still don’t know when bad apples will reveal itself. First, always keep safety in mind. Make sure that you’re dealing with a legitimate business. Here in Avontage, we try to ensure that every member is legitimate and can be trusted. Also, don’t barter what you don’t like to give. Doing this will keep the feel-good nature of trading. If you think you will regret trading a specific offer, come up with another option. In the end, being skeptic and watchful pay for your business. Trading services can be tricky, but Avontage and AZ businesses will be here to get you started.